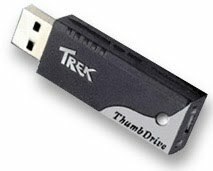 In Part II of this compilation [Part I was TTABlogged here yesterday], the second quintet of TTAB cases includes two interesting genericness rulings: the THUMBDRIVE decision in particular catching many by surprise. In a procedural tussle, the Board found that an Opposer's attempt to amend its pleading ran afoul of the prohibition on adding new grounds in a "Madrid opposition." The Board rejected a supposed "noncommercial use" defense to a claim of dilution. And in a long and instructive decision it dismissed likelihood of dilution and confusion claims based on the famous CITIBANK mark. [Additional commentary may be found at the corresponding TTABlog posting]. 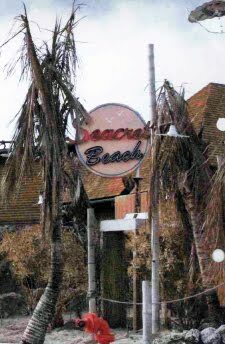 American Express Marketing & Development Corp. v. Gilad Development Corporation, 94 USPQ2d 1294 (TTAB 2010) [precedential]. [TTABlogged here]. 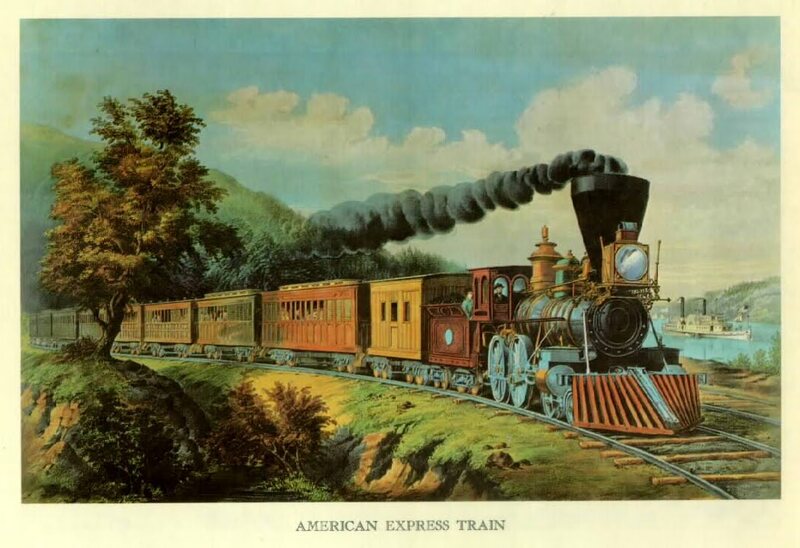 Applicant Gilad sought to register GRAND AMERICAN EXPRESS for “transportation services, namely, transporting passengers by means of a 19th century replica train.” American Express claimed likely dilution of its family of AMERICAN EXPRESS marks. Gilad moved to add the affirmative defense of “noncommercial use,” asserting that it chose its marks as an allusion to a Currier and Ives lithograph titled American “Express” Train and the nineteenth century history and era it evokes. Therefore, Applicant argued, its marks, “in addition to their intended service mark usage, serve as a form of artistic expression.” The Board, however, ruled that Applicant’s proposed amendment would be futile because the “noncommercial use” defense to a dilution claim is not available in an opposition proceeding. First, in order to obtain registrations, Applicant is required to demonstrate use of its marks in commerce, and thus cannot claim that the use is noncommercial. Second, for dilution purposes, the mere use of another’s famous mark as a mark for its own goods or services, whether commercial or not, disqualifies Applicant from invoking this exception. In any case, Applicant’s use does not fall into any of the recognized categories for noncommercial use: parody, satire, editorial, and other forms of expression that are not part of a commercial transaction. In re Wm. B. Coleman Co., Inc., 93 USPQ2d 2019 (TTAB 2010) [precedential]. [TTABlogged here]. Taking a tough line on the issue of genericness, the Board ruled that “the designation ‘company’ cannot transform the name of the goods for which registration is sought into a trademark,” finding the term ELECTRIC CANDLE COMPANY to be generic for “light bulbs; lighting accessories, namely, candle sleeves; lighting fixtures.” Alternatively, the Board found the phrase to be “incapable of identifying source for electric candles” under Section 23 of the Trademark Act. Coleman argued that ELECTRIC CANDLE COMPANY is not a compound term, that there are no examples of third-party use of the entire phrase, and therefore that Gould is inapplicable and American Fertility requires reversal. The Board, however, found the term to be generic under both approaches. “The record shows that ‘electric candle’ is a unitary generic term. *** The space between the generic terms ‘electric candle’ and ‘company’ does not disqualify this type of proposed mark from the Gould [compound word] analysis. If anything, the terms appearing as they should in normal usage make it even more common.” Moreover, the Board refused to read American Fertility, which governs genericness of phrases, to allow an applicant to take a clearly generic term and add a non-source identifying word and thereby create a trademark. 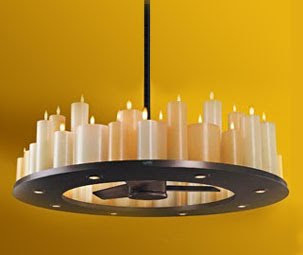 And even if not generic, ELECTRIC CANDLE COMPANY is incapable of attaining source significance and thus unregistrable. Citigroup Inc. v. Capital City Bank Group, Inc., 94 USPQ2d 1645 (TTAB 2010) [precedential]. [TTABlogged here]. Banking on the fame of the CITIBANK mark, Citigroup opposed registration of the marks CAPITAL CITY BANK, CAPITAL CITY BANC INVESTMENTS, CAPITAL CITY BANK GROWING BUSINESS, and CAPITAL CITY BANK INVESTMENTS for banking and financial services. In a 68-page decision, the Board dismissed the opposition, finding no likelihood of confusion or dilution primarily in view of the differences in commercial impression engendered by the parties’ marks. “Since the commercial impression of applicant’s marks is the geographic designation CAPITAL CITY and the generic term ‘Bank,’ applicant’s marks are not similar in appearance, sound or meaning with opposer’s CITIBANK marks.” Furthermore, the Board found the absence of any reported instances of actual confusion to be significant, in light of the widespread advertising of the CITIBANK mark. As to dilution, the Board found that the CITIBANK marks became famous in 1983, after Applicant’s first use of the CAPITAL CITY BANK mark. Therefore Citigroup’s dilution claim failed for that reason alone. Moreover, since the marks were found to be too dissimilar for likelihood of confusion purposes, they perforce did not meet the "substantially similar" requirement for dilution. [Note: this decision is now on appeal: TTABlogged here]. Text Copyright John L. Welch 201o-11.